Download San Antonio cocktail veteran Javi Gutierrez has seen all shapes and sizes in the hospitality industry. From a heavily engrained sense of community, sharing, and cooking in his mother's kitchen to slinging delicious cocktails from the leading establishments in San Antonio, Javi has seen it all. But when a dream starts to shudder and one's career needs a new turn, where do you go? We chat The Walking Dead, JP, Brooklynite, and more. Download The traveling Californian, Ryan Herzog, is on an ever-learning journey through life and his career. A deep interest in numbers and food sources translated into a peripheral booze journey in the Tonic market. Through the every day duties, Ryan learned about the human condition and ultimately took this passion to behind the bar. Peddling cocktails, certain Tennessee whiskey, and an kinetic charm, Ryan stopped by in Austin on a road trip with his sister. We talk family, metal, California, and more. Hospitality veteran Chris Morris is a refined amalgam of music, academic insight, bitterness, and generosity. The Houston native emerged from small town Santa Fe , Tx with a developed mind for music and an eye destined for flavor. 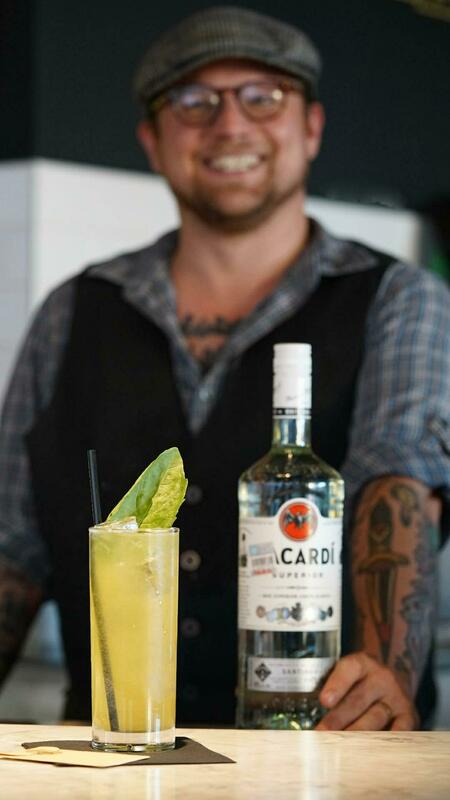 Years later, the trusted palette of Mr Morris has created Bittersmith Bitters and a lauded Regalo cocktail for Bacardi Legacy. We chat metal, devil-locks, language, and whiskey.